There are a lot of Texas personal injury lawyers out there. You may have heard of some of them, not by their real names, but nicknames—Hammer, Strong-arm, Dog—names that make you think they will be aggressive and relentless, provided they're on your side. At the Hart Law Firm, we don't have any nicknames. We have a dedicated team of experienced personal injury lawyers who care more about your case than making a name for themselves. David Hart is one of the highest rated personal injury lawyers in the country. Mr. Hart is an AV-rated Texas attorney who has built his practice on the idea that his clients are people in need, not dollars walking through the door. Where other Dallas injury law firms run their practices like personal injury "mills," we see our practice as a legal boutique: a handful of dedicated, hardworking attorneys who connect with our clients to give them the personal attention the larger firms just can't. David Hart is not a claims adjuster or nick-name lawyer. Board certified in personal injury trial law by the Texas Board of of Legal Specialization, David Hart knows how frustrating a personal injury case can be. 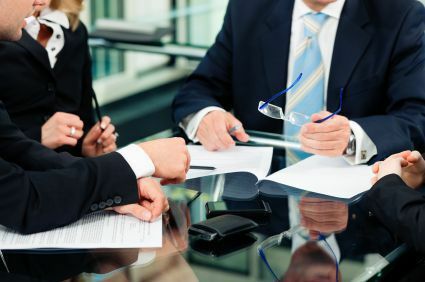 He has the experience and insider knowledge of injury cases that insurance companies respond to—for instance, many times, just by hiring a lawyer, you will get different treatment from the companies you are up against. They now know you are willing to go to trial if your case requires it, and suddenly they give you the respect you deserve. For personalized legal advice from a Dallas injury lawyer, call The Hart Law Firm today at 1(800) 856-2347. Don't Know Where to Turn After Your Texas Car Wreck? You get well, we'll do the work. At The Hart Law Firm, our Colleyville personal injury lawyers are uniquely situated to give you personal care. You have so much to worry about following your crash—missing work, car repairs, medical bills, and more. Let someone else worry for a change. We handle everything about your case: the calls, the forms, and everything on your case's to-do list, so the only thing on your to-do list is "get well." Call us today at (817) 485-8888 or toll free at 1(800) 856-2347 to find out how the personal injury attorneys of The Hart Law Firm can help you start down the road to recovery.